On behalf of admin of JML Law, A Professional Law Corporation posted in Wrongful Termination on Saturday, Sep 16 2017. 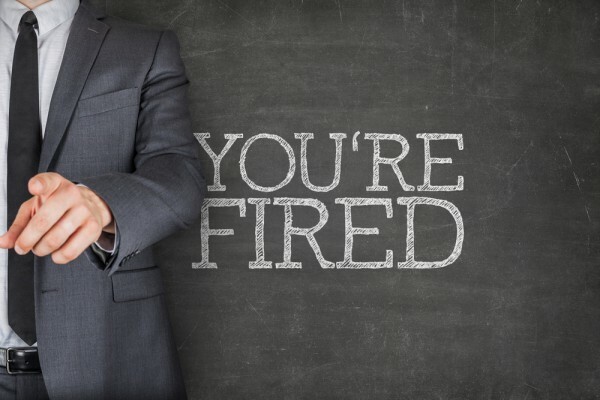 Although not every termination constitutes a wrongful termination, there are some adverse circumstances that may qualify as such under California law. Sometimes is difficult to prove that an employee was wrongfully discharged from a job, especially when there are no contracts or any other legal document available. Also, employers in California can terminate the employment at any time as long as the reason for termination is not illegal. A Los Angeles wrongful termination attorney will be able to tell you in more details how the law can be applied to your particular circumstances. Filed a claim for harassment, discrimination, workers’ comp, etc. If you were fired for participating in jury duty, and money was withheld from your paycheck for child support reasons. Took medical leave and time to vote. Reported illegal behavior or activities in the workplace and declined to perform unsafe tasks and illegal acts. This is when the employee quits because the working conditions are unbearable. If the working conditions are not safe and you quit, you will be entitled to seek compensation for lost income. However, there are some circumstances that may not qualify for this type of legal action. If a simple harassment incident took place and the employee quits, he or she doesn’t have solid legal grounds to file a lawsuit. Employees are supposed to follow the established protocols and report any issues at work. If you fail to resolve the issues before you quit chances are you may not be entitled to compensation. However, if you have already reported the incident and nothing has been done to correct the issue, you may have a case. You should document every detail and contact Los Angeles wrongful termination lawyer to handle all the legalities. Address issues related to poor performance – This means conducting a performance evaluation and tell the employee about areas he or she may need to improve. Exit interview – Employers are required to conduct exit interviews in order to explain the reasons for the termination, request company property, and ask the employee about any questions he or she may have. Severance pay package – Severance pay is not required but some employers may offer it in exchange for the worker’s agreement not to file a lawsuit against the employer. In cases where the employee provided notice or if the employee is being terminated, the terminated employee should be given his or her final check right away. If you would like to request the assistance of a Los Angeles wage and hour issues attorney, or a Los Angeles wrongful termination attorney, look no further than JML Law. We have decades of experience in employment fraud cases like yours. Contact us today and schedule your initial case evaluation with one of our experienced attorneys.